What is a Pilates Retreat? 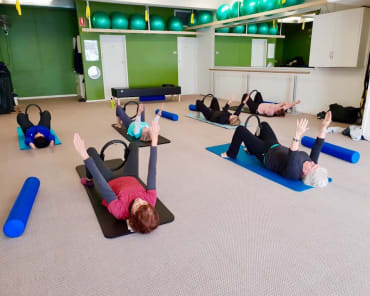 Pilates Plus opened it’s doors in October 2009, but it was really “born” 1 year before, when I sat down and made the decision to bring Joseph Pilates’s vision and life’s work to as many people as I could. I’ve always had a passion for helping people with their health and fitness. This comes from a personal passion for being fit and healthy myself and my “happy place” is when I’m being active, whether it’s in the pilates studio, spin room or outdoors. I made a career out of it and pushed the boundaries of my own physical capabilities and loved it! Life is so much easier and enjoyable when you are fit and healthy! The gap between having supreme fitness and health and being debilitated by injury and poor health and fitness is vast and has implications not only for the body, but the mind, spirit and a person’s life. And as my body has aged, I understand that each decade of life has its own health and fitness requirements and pilates is the only exercise method designed to enable physical wellbeing for an entire lifetime. Happiness really is dependent on your physical well-being, and if you are someone who really doesn’t get this, try relating it to a child, maybe your children. Wouldn’t you want the absolute best physical health for them? To see them have a body that supports them throughout their lives to become and do whatever they want to? To have the best health, fitness and wellness for the entirety of their lives? Of course, you would answer yes to all of the above, but somewhere along the line, as a society, we stopped applying this same standard of health to ourselves as adults and as a consequence, being fit and healthy become the exception rather than the norm. 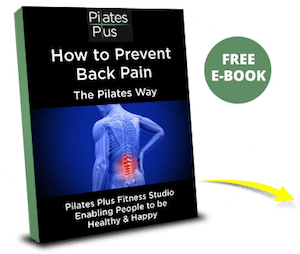 Joseph Pilates talks about the very same issue in his book “Your Health”, so the “health crisis” we are experiencing now has been around for a long time. The biggest misconception about the exercise method of Pilates and of Joseph Pilates is that it’s just about the exercises, and it’s not. He was a “wellness warrior”, and his exercise method was the base or foundation for people to bring their physical and mental capability back to “normal” or how the human body was designed to be. This then enabled people to live full, productive, and happy lives for the duration of their lives. But he also understood that there were other factors that contributed to lifelong health. Good nutrition, good quality sleep, getting outdoors as much as possible, getting out of the big city and away from pollution, relaxing and having fun with friends and family. Joe and I are totally on agreement with this, his books were, and still are my inspiration and drive for Pilates Plus. 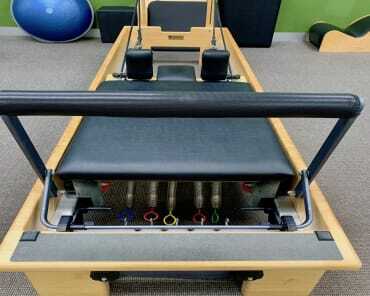 Let’s face it, there are lots of ways you can access the exercises these days, but it was always my intention to create a pilates studio that was more than the exercise method. My vision is instead of enabling people to “do” pilates, my hope and drive is for as many people as possible to be educated on and enabled to live a “Pilates Lifestyle”. The Return to Life Retreat was created almost 10 years ago with the purpose of bringing Joseph Pilates vision of getting away from the big city and the pollution, exercising outdoors, enjoying good food and relaxing and having fun with other likeminded people. We’ve taken great care to find a location that fits all the above criteria, to enable you to get a full “immersion” experience and focus on “Your Health”. 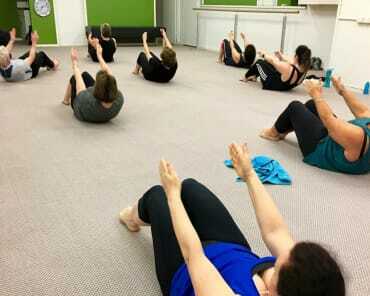 You do not need to be a pilates guru or advanced pilates practitioner to attend and get the benefits. This retreat is designed for people who want to deepen their understanding of the exercise method and the Pilates Lifestyle and take time out, and time for themselves, renew and re energise and return to your life.